Join us at - SANDY CREEK PARK - ATHENS, GA. The 5K and fun run course will be run inside the park with little to no traffic. Walkers and Strollers are welcome. 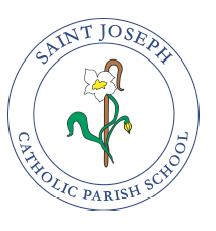 Early packet pickup: Will be held on Friday, March 1st from 2PM to 6PM at St. Joseph Catholic School Gym at 958 Epps Bridge Parkway. Race Day Registration and Packet Pickup: Begins at 9AM at Sandy Creek Park. Awards: Overall Male and Female, Masters Male and Female - PLUS - 3 Deep in standard 5 year age groups! All Fun Runners get an award. Timing and Results: Finish line management provided by Classic Race Services with results posted to www.classicraceservices.com, www.active.com, www.athlinks.com and www.coolrunning.com. Shirts and Goodies: Shirts are guaranteed to those who register by 2/21/19. Those who register after that date are not guaranteed a shirt or size. There will be plenty of refreshments.